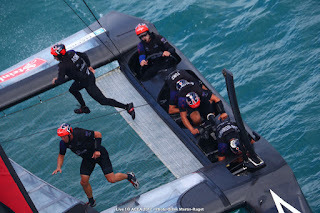 Images: ACEA / Gilles Martin-Raget & Ricardo Pinto. 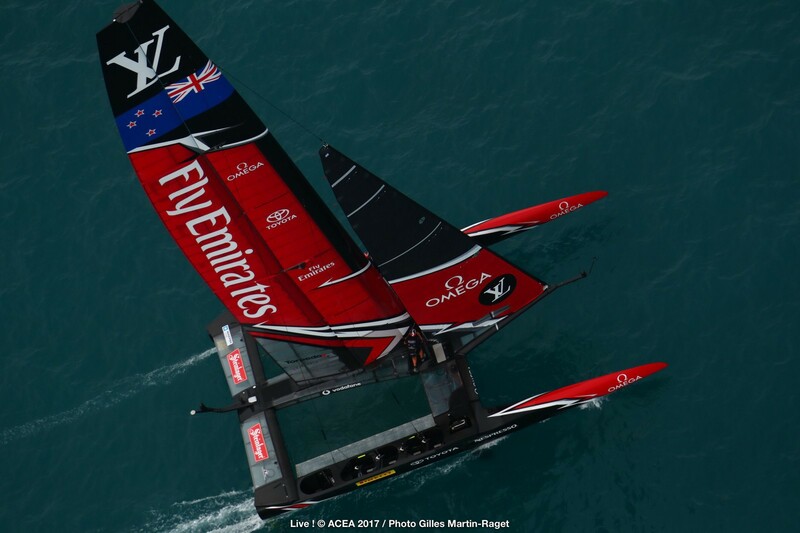 Vid sent by Emirates Team New Zealand --- First race of the day was abandoned due to 2-3knots of wind. 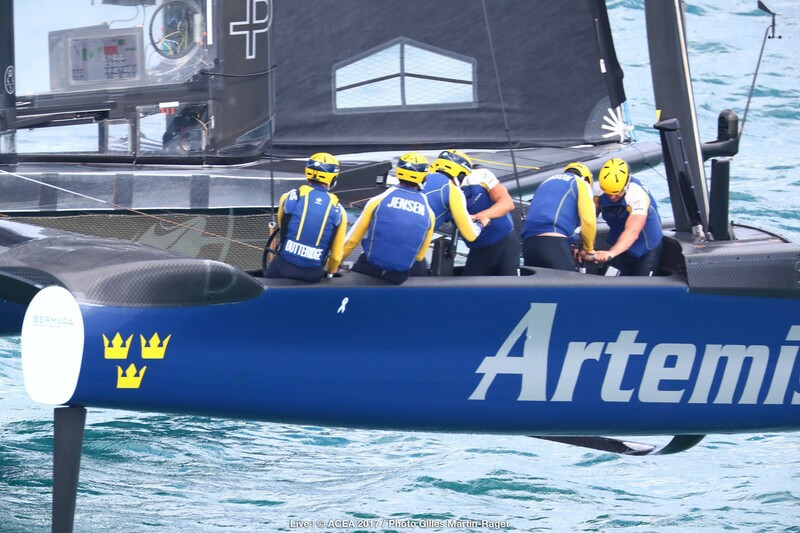 TNZ was leading by a good margin but Artemis recovered the gap when the wind dropped. Few mins of F18 floating mode. Later both boats at similar distance from a shortened Finish when the RC gladly called for a cancellation. Some long waiting for more wind, skies cleared with 7-8 knots. 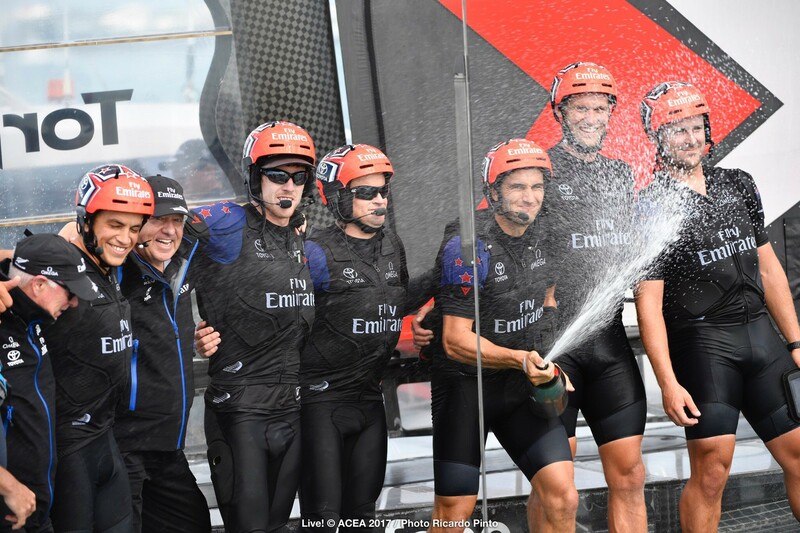 Burling had a more active start and forced Nathan to luff generating a gap at the reach mark which only increased through the race. That's the only word to define Team New Zealand performance in this wind range. We said New Zealand was going to win in a close Match before this Final started. In the overall it was not easy and Artemis had some chances. Now design and boat asset 1 to 1 in the overall, plus wide range of conditions, New Zealand was superior. Last race was hard to watch in terms of boat speed. Nothing to do for Artemis crew no matter their great talent. NZ has as much talent on its crew plus a superb AC50. More info, official vids and pics later.